When your grandparents were young, people thought nothing of extracting a tooth that was deeply infected and causing pain. Anesthesia and dental instruments weren’t nearly as sophisticated as they are now, and root canal therapy earned a reputation for being scary and painful. Modern dentistry has come a long way, however, and your dentist Melbourne at Simply Smiles in South Yarra and Toorak always strives to save your natural teeth rather than extract them. Using the most effective anesthetics and precision endodontic instruments, we will do everything possible to preserve your natural tooth with root canal treatment, which many patients report is no more uncomfortable than receiving a simple filling. In the center of the tooth lie the pulp tissues, which make up the “living” portion of the tooth. Containing blood vessels and nerves, the pulp is an essential component of proper tooth development. When a tooth injury or cavity extends all the way to the pulp chamber, these living tissues are exposed to bacteria and food particles, causing infection deep inside the tooth. This infection can result in severe pain, an abscess in the gums and even widespread bodily infection if not treated. To alleviate the pain and infection, your dentist Melbourne will thoroughly numb the area around the tooth with a local anesthetic and remove the infected tissues in the pulp chamber. He will then carefully clean and disinfect the inside of the tooth and fill the space with a special filling material. The tooth may also need to be fitted with a porcelain crown for extra protection and strength. After your teeth have finished developing, the only purpose that the pulp serves is to send pain signals through the nerves it contains. Your teeth can still function optimally once the infected pulp is removed. If you are experiencing severe tooth pain, contact our Melbourne dental office today so that we can perform a tooth-saving root canal treatment. 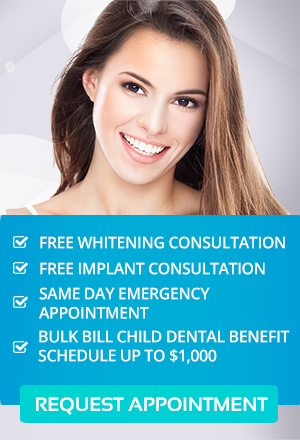 At Simply Smiles Dental, we welcome patients from South Yarra, Toorak and all over the Melbourne area.